We take the time to answer your questions. Need a recommendation? One of our pharmacists would be happy to help you. We are a community pharmacy dedicated to providing quality products, professional excellence and service; tailored to meet the needs of our local communities. 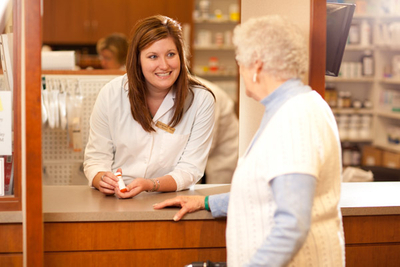 We offer you the opportunity to experience consistent high quality pharmacy services with every patient contact. When my wife was placed in a hospice program she needed a special drug to improve her comfort level that usually takes two days to make. 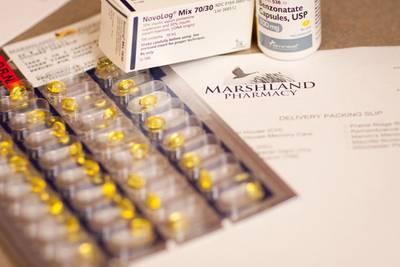 Marshland Pharmacy had the drug made by 7:00 the same day hospice ordered it. All employees care for you not only as a patient, but also as a person. 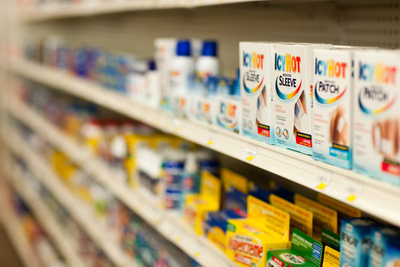 "I choose Marshland Pharmacy because it's a local store with fast, helpful and friendly service. The pharmacists take time to explain everything in detail and I am always treated well when I step in the store. " "Thank you to the Marshland Pharmacy staff - our family member was visiting from out of town and forgot their prescription. Marshland Pharmacy was able to coordinate getting his medication available here and transferred from his local pharmacy. Thanks, Marshland! "